WOW! 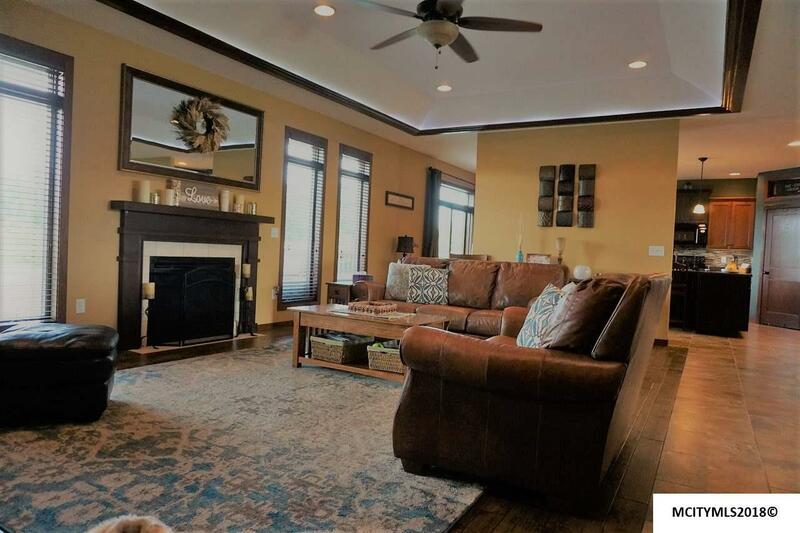 Custom built home that is sure to please the whole family. 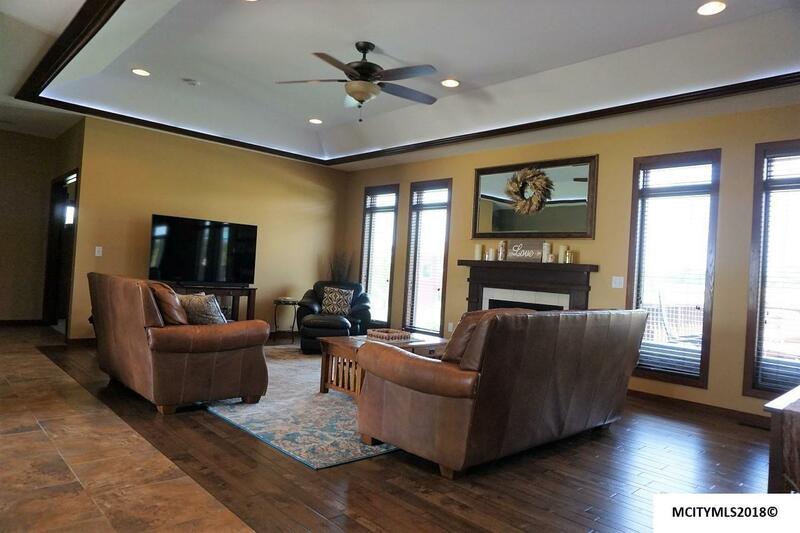 Living room has gorgeous hardwood flooring, recessed lighting and gas fireplace with warm neutral colors. 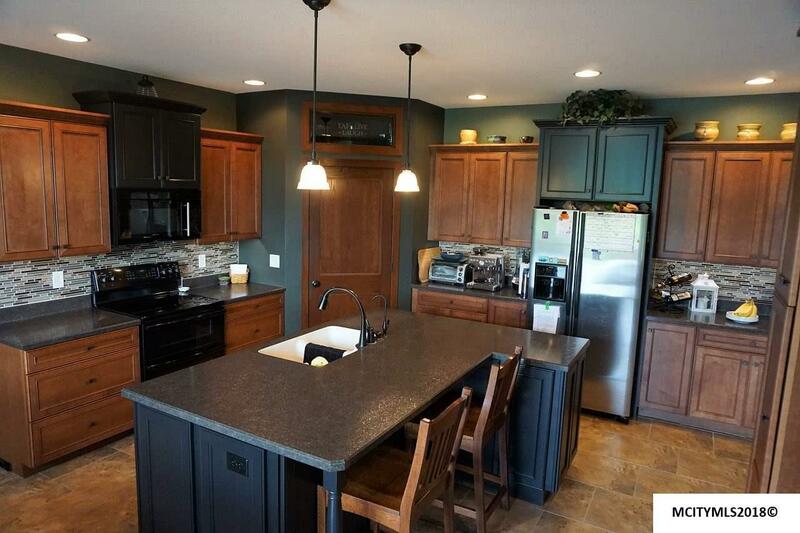 Chef's dream kitchen with ample cabinet and counter space. Center island is the perfect gathering area with sink, prep space and snack bar. Walk-in pantry for additional storage and don't miss the built-in desk area. Dining area overlooks the low maintenance deck and amazing backyard. Heated tile flooring throughout . Master suite with oversized tiled shower and walk-in closet. Main floor laundry area with additional 1/2 bathroom. 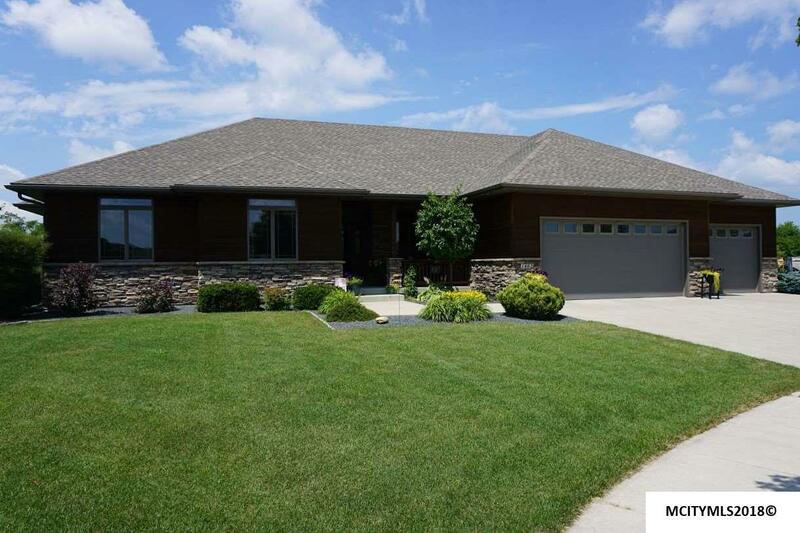 Lower level walk out with family room, 2 bedrooms, full bath and a workout/ storage room. Extensive outside space with fire pit, stamped patio area,Trek deck that is meticulously cared for. Attached 4 car garage with one stall having room for camper or boat plus a 30x40 detached garage. Amazing lot that is 1.59 acres feels like an in town acreage with all the amenities.